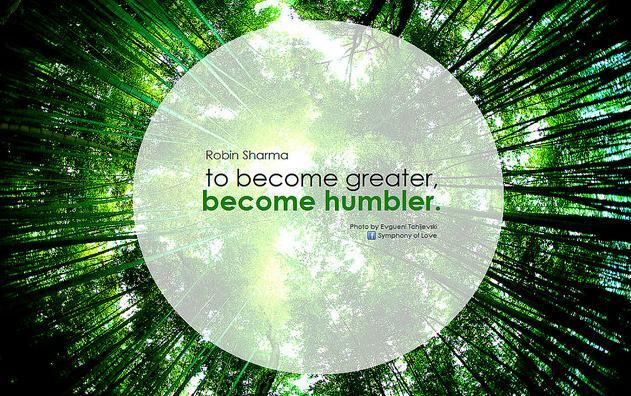 to become greater, become humbler. 2. Flexibility and adaptability. Bamboo bends with the wind but do not break. Metaphorically, when we are coping with adversity in life, we must be able to go with the natural flow, be flexible, adapt to the surroundings and yet to be firmly rooted. 3. Humility. The Bamboo hollowness reminds us to empty our minds, to learn, to unlearn and to relearn. When we are able to empty ourselves with the preconceived perceptions in life and be open, we can fill ourselves with new possibilities and new wisdom. 4. Resilience. Bamboo has incredible ability to spring and bounce back. As the Japanese proverb aptly puts it, “Fall seven times and stand up eight. No matter how many times we get knocked down, we get up again; we just keep getting up and trying again and never never give up. The next time when you see bamboo, hopefully you will remember these four lessons which bamboo has taught me and you may not look at it the same way again … I know I would not. Last but not least, quoting Garr Reynolds from his talk again, “Be like the bamboo my friend.” Here is the talk by Garr Reynolds.